MOJO MONDAY #293 @ Verve. Got some new stamps today and just had to get them inky! Stampin' Up! Decorate a Daisy #125991 and Pursuit of Happiness #121970. 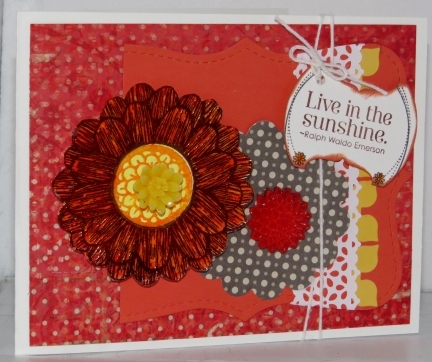 Inks are : Mix'd Media inx Leather and ColorBox Chalk inks in Burnt Sienna, Canary & Marigold. Sweet sketch! I enjoyed playing with it.